The tour starts from Carosello 3000 and goes down in a wide dirty road that leads to the suggestive alpine lake Lac Salin, which in the early morning perfectly reflects the surrounding mountains like a huge natural mirror, and in the afternoon it embeds all the shades between blue and green, in a surreal mix of colors. From here continue on the rights starting a downhill that follows those that in winter are the Federia ski slopes, until arriving near the start of the chairlift. It continues on the left, leaving the ski slopes: in this area the trail is a wide road without big difficulties, with the crossing of some creeks. It advance deeper in the valley, until the arriving at the end of it where it’s not hard to find cows at pasture or wild animals. At this point of the tour the drop is already notably decreased, and suddenly you’ll find yourself surrounded by green meadows that continue to loss of eyes, with a clear creek crossing the valley. In this area you may find many marmots or animals at pastures like cows, horses or donkeys. At the bottom of the valley, the trail turns to right flats: from here on it will be mainly flat, following the creek until the end of the valley. After about 1km you’ll reach the malga Federia, from which the street gets easier and a bit more busy (it’s closed to the public, but sometimes you may find some authorized car). This second part is slightly less wild since easier to reach from the vollage, but the landscapes are still incredible. 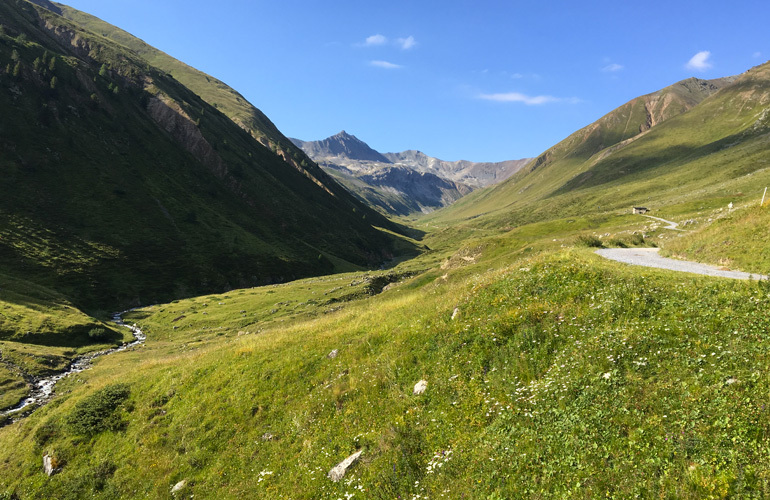 In this area the green of the meadows gets together harmoniously with the typical “tee” (small wood huts typical of Livigno), that melt so good with the nature that they don’t een seem built by humans. The tour continues for about 5km on the road, but it’s possible to walk the last part in an alternative trail: after about 3km from the malga Federia, after a small wood bridge you turn right, in a wilder trail forbidden to bikes, that with a small bridge crosses the creek and goes into the woods. This is the ideal zone to have a pic-nic in the nature: the forest gives some shadow, the creek gives fresh water to rest the feet and every few meters are available equipped pic-nic area (sometimes also for kids). The place is perfect to have lunch or just to rest and enjoy one more time the beauty of the nature. A very easy hike, also for families with children, where nature takes the lead from the start to the end, transmitting an incredible sensation of peace and serenity. This tour can be made also at the opposite without any particular difficulty. The only part more demanding is the last uphill to reach Carosello 3000, but in general it doesn’t require a higher training level is the final uphill to reach Carosello 3000, but in general it’s still an easy tour. The marmots can be found mainly in the first part of the valley (before the hut), even very close to the road. If you’re silent, you can get very close to them before they run away. To fully enjoy the nature typical of this valley, a pic-nic in its green meadows it’s perfect to stay in contact with nature. In Federia Valley the mobile doesn’t get signal. Even if it’s an easy hike, always advise someone you are going there. 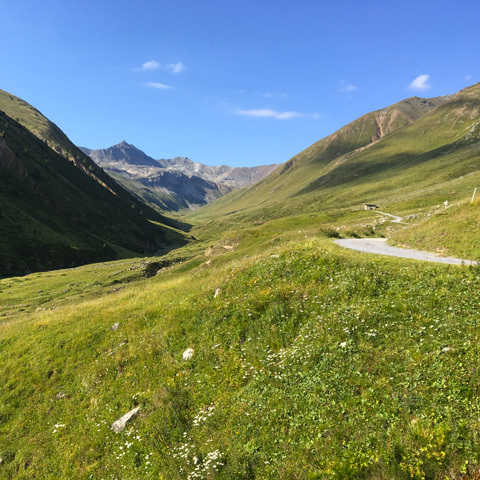 This valley is the wildest and most spectacular in Livigno: take many picture to post on Instagram with the hashtag #themountainisfreedom…you’ll be envied by all your friends!